Receiving timely and reliable payment is a major challenge in the logistics industry. Much invoicing is still done via paper and payment due dates are often set far into the future. Even in cases when invoicing is digized, companies cannot always find the right payment services provider to suit both themselves and their clients. 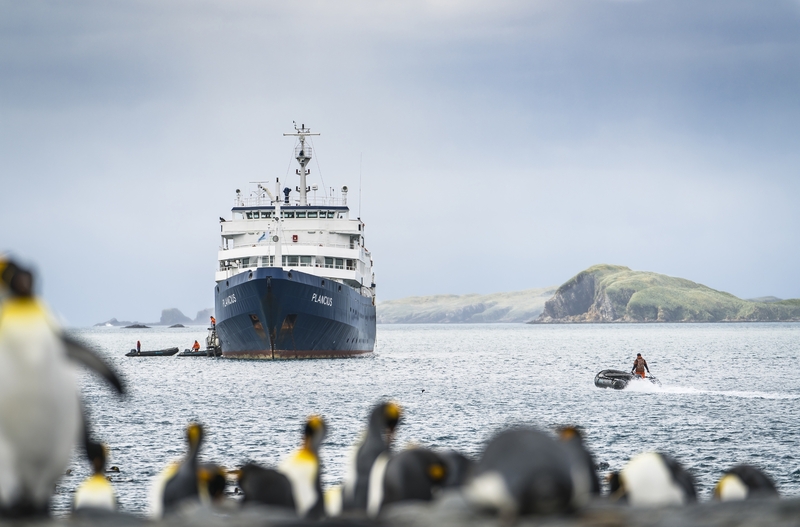 This is the case for Oceanwide Expeditions, a company offering ship-based cruises to Antarctica and the Arctic. They were the first cruise travel company to go to both the north and south pole for commercial exploration. Their comparative advantage is that they focus on the offboard life – what customers see and experience off the boat – while other cruise companies are more focused on the onboard life and entertainment. The challenge that Oceanwide faces is that it is currently not possible for their customers to pay for their cruises through the company’s website. This presents a risk to the company, since some customers lose interest and decide not pursue a booking. Oceanwide have been looking for a PSP for some months, but have not been able to strike a deal with a fitting PSP so far. The high payment amounts (cruises cost thousands of euros), low volume of transactions, and perceived risk of cancellations deter PSPs, who view the cruise industry as too risky. Oceanwide want to implement a system in which the customer books a cruise and immediately pays a deposit through Oceanwide’s own website. They need a payments system that can be used anywhere around the world, since their customers come from all corners of the globe. Erik Hageman, CFO of Oceanwide, presented his company’s case at the Logistics and Fintech Challenges on Wednesday 13 December at Rabobank, Rotterdam. The first challenger to present a solution was Paymill. The main feature they offer is that customers stay on the client’s website while paying. This leads to a seamless customer journey, which is one of the main features that Oceanwide is looking for. Moreover, Paymill supports most currencies and payment methods, including local gateways, worldwide. This is especially crucial given Oceanwide’s divers customer base. Kable was the other challenger. Their innovative solution allows for cross-border payments in a much faster (4 hour settlement time) and up to 80% cheaper way than do traditional services. To do so, they convert local currencies into Bitcoin and then instantly into Euros or US Dollar. A recurring concern coming from the audience was whether they are exposed to Bitcoin’s high volatility, but Kable takes responsibility for this, and they protect themselves by having the transaction amount in Bitcoin only for a very brief moment. We were very satisfied by the outcome of this challenge. Oceanwide is indeed willing to explore further development of a solution with both of the challengers. From the audience’s perspective, it was very interesting to see two effective yet very different payment systems, using innovative technologies. In 2018, Holland FinTech will be working further on both logistics and payments. Keep an eye out for our Payments and e-Commerce track, which will highlight some of the most interesting global developments in payments, as well as cutting-edge innovative companies offering new solutions.